Toast is trendy. I told my parents this as we ordered the signature crab toast at New York’s ABC Kitchen last year. Their response was “Then we’ve been with it for a very long time.” I guess this is true; I grew up watching my Grandpa slather butter on thin English bread followed by a glossy spread of homemade marmalade every morning. He’s a creature of habit. Maybe sometimes it was apricot jam. It’s tricky to back track as to when this all started, but what is essentially sliced bread is now accepted as its own food category with options ranging far from merely butter and an assortment of fruit preserves. It’s such a brilliant concept – high quality, crisped up bread that you can deck out with absolutely anything. I’m sharing with you my Top 3 Toasts in Manila… so far. 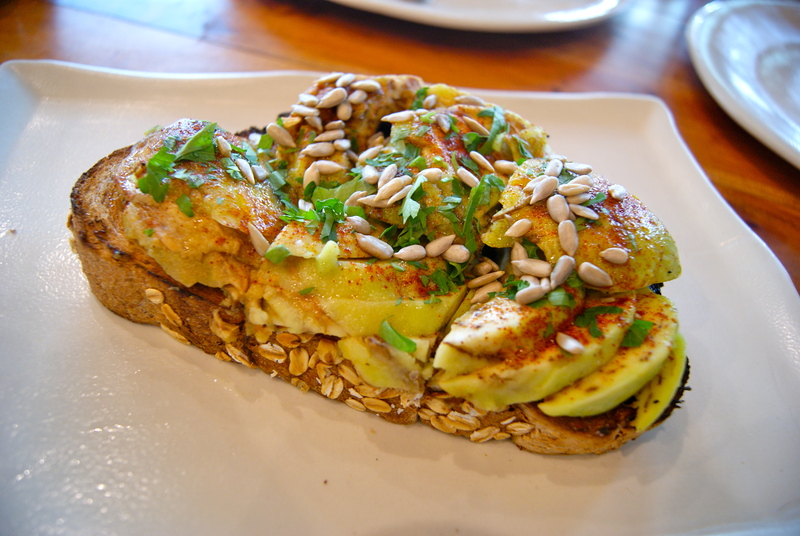 Since ‘avo toast’ has taken the top spot characterizing this fad, I’ll begin with Green Pastures’ Avocado Toast. Can we just take a moment and gasp at the generous amount of alligator pear slices they manage to fit on their rye sourdough – it rivals even those that I’ve tried in California! Chef Robby Goco personalizes this recipe with evoo, rock salt, sunflower seeds, sweet paprika and micro greens. If you’re willing to swap your bagel for breakfast, The Wholesome Table has a toasty alternative. 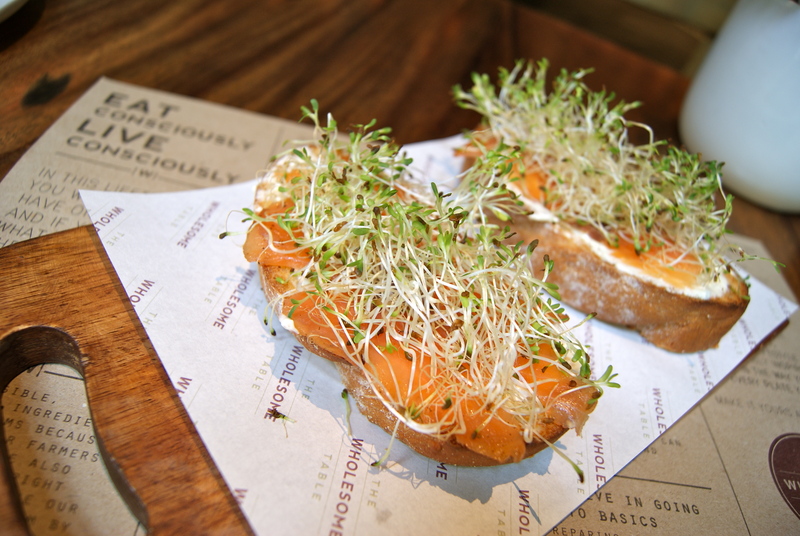 Their Manhattan Toast is comprised of sourdough, yogurt cheese spread, homemade salmon gravlax and alfalfa sprouts. You get your lox and cream cheese fix with the nutritious addition of greens. Alfalfa sprouts contain a concentrated amount of vitamins and minerals, you know. Lastly, if you picture your weekend as fluffy white pillow, you need Wildflour’s Ricotta Toast to be part of this proverbial pajama party. Their inch-thick sourdough slice is covered, and snug in every crevice, with carabao’s milk ricotta. 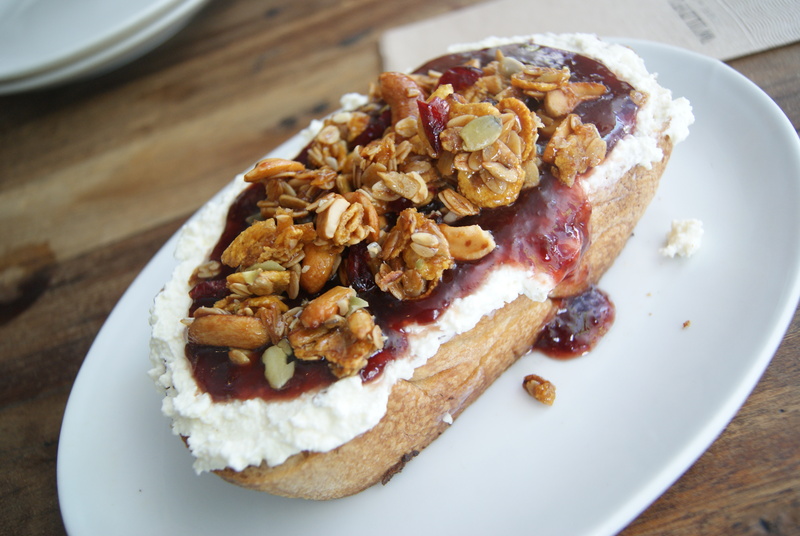 This is the creamy, dreamy cushion that the strawberry jam and granola crunchies rest on. We know the struggle is real to wake up early after Friday and before Monday so don’t fret, this is available until 3pm.